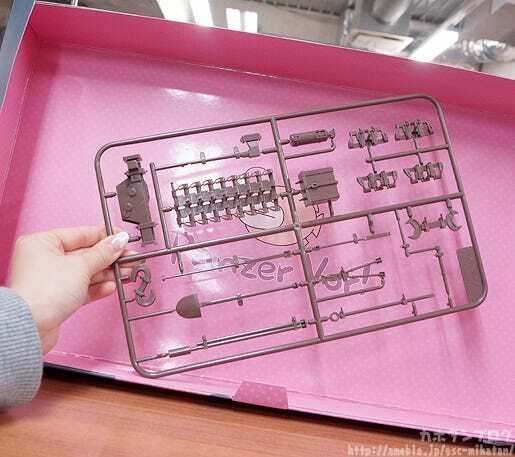 Kahotan's Blog | GOOD SMILE COMPANY Figure Reviews | figma Vehicles: Panzer IV Ausf. H “D-Spec” & figma Ankou Team Set! figma Vehicles: Panzer IV Ausf. H “D-Spec” & figma Ankou Team Set! 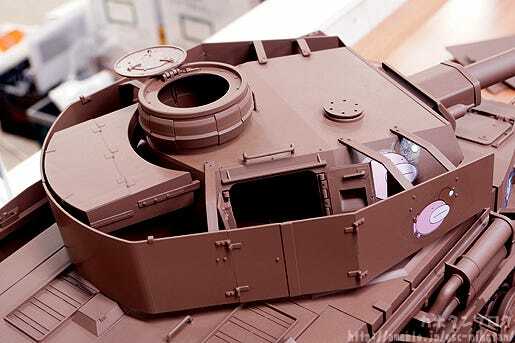 From the popular anime series Girls und Panzer comes a 1/12th scale figure of the Ankou Team’s tank, the Panzer IV Ausf. H upgraded into to its D-Spec – also known as the Mk.IV Special! The tank is fully assembled and also comes equipped with twin motors allowing it to drive it forward! 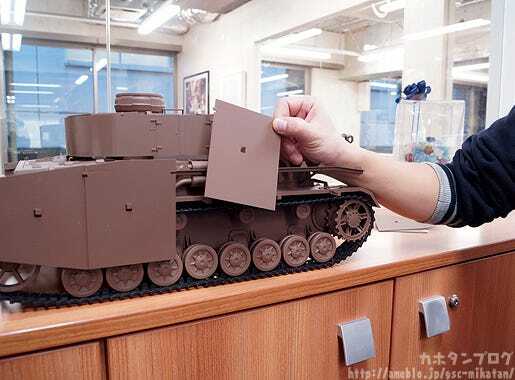 The model is based on the latest 3DCG data used in the Girls und Panzer movie, ensuring the proportions and details are all faithfully included. The turret can be rotated and the main battery can be moved up and down allowing the tank to take careful aim. Various hatches around the tank can also be manually opened and closed. 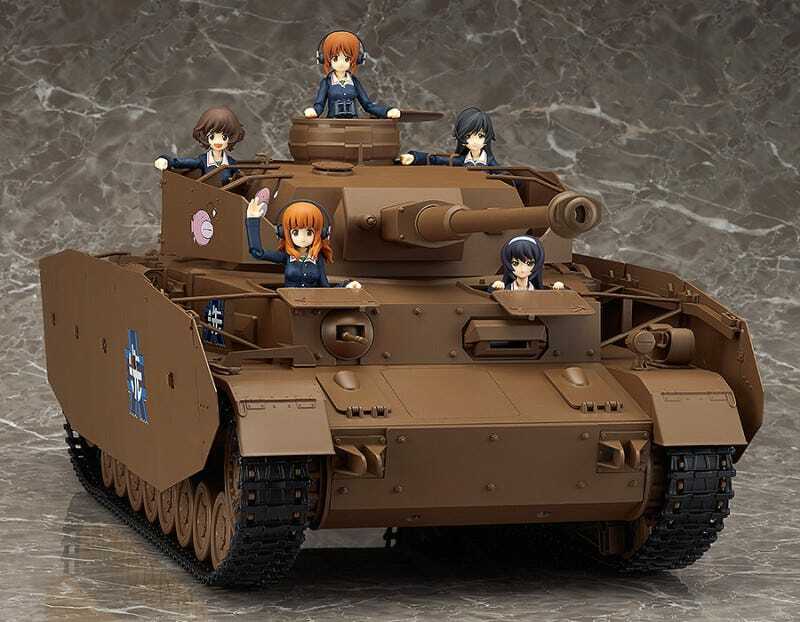 You can even easily display figma Miho Nishizumi and the other members of the Ankou Team riding inside the tank! The Mk.IV Special in 1/12th Scale! 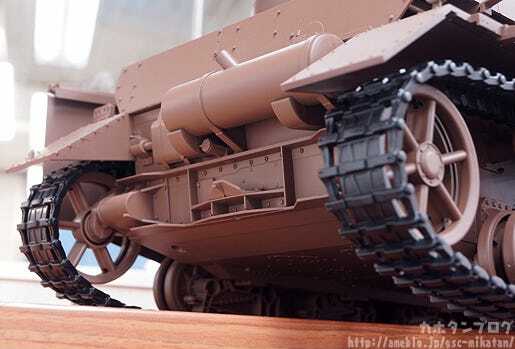 The rather large tank is so intricately detailed, and even includes motors for it to drive forward! Just look how large the box is! I decided to ask the head planner for the project what his highlight points were for the tank – let’s take a closer look at each of them! The area where Miho sits as well as the little hatches on the side can all be opened up! All the little bolts, latches and screws are also faithfully included on the design! This allows you to display the tank showing off more of the caterpillar tracks! After sales at WonFes, it will be up for order at the GOODSMILE ONLINE SHOP from the 7th February at 16:00JST! The figma Ankou Team Set! 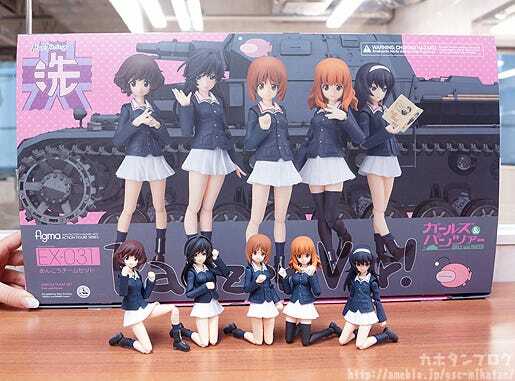 From the anime series ‘Girls und Panzer’ comes a figma set of the five members of the Ankou team – Miho Nishizumi, Yukari Akiyama, Saori Takebe, Hana Isuzu and Mako Reizei! figma Miho Nishizumi comes with her smiling expression and shouting expression. figma Yukari Akiyama comes with her smiling expression and serious expression. figma Saori Takebe comes with her standard expression and a smiling expression. figma Hana Isuzu comes with her gentle smiling face and fascinated expression. figma Mako Reizei comes with her standard expression and sleepy expression. Optional parts include headsets with alternate hair parts, binoculars, a tank shell, cellphone, tank textbook and skirt parts for sitting. Articulated figma stands are included. 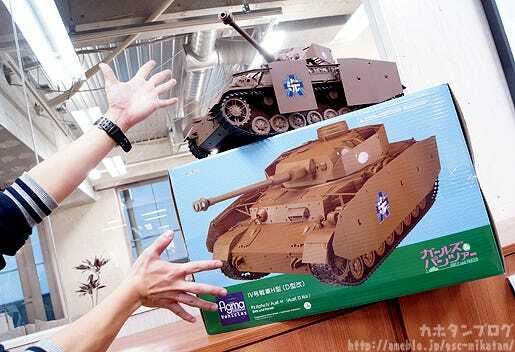 * The figma Vehicles: Panzer IV Ausf. D Tank Equipment Set will have standard sales at a later stage. * The figma Ankou Team Set is not currently planned to have standard sales. 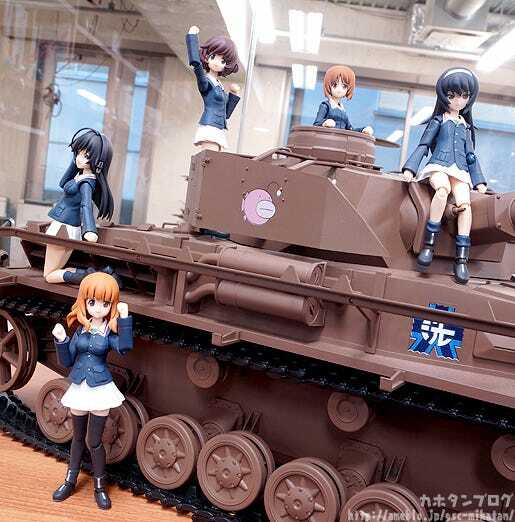 The set also includes a variety of optional parts including a headset with alternate hair parts, binoculars, a tank shell, cellphone, tank textbook and skirt parts for sitting! You can combine this item with the tank above to recreate this amazing scene! A Panzer IV Ausf. 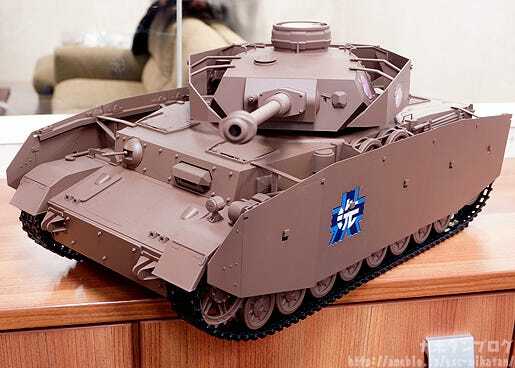 D Tank Equipment Set (Brown) is also included! Spare tank tread, s-shaped hook, fire extinguisher, spanner, wirecutters, track tensioner, crowbar (large/small), hand axe, crank handle, jack, jack base, cleaning rod and shovel! All sorts of parts to bring out the world of tanks even more!! This equipment set will also be available through standard sales at a later date! But it comes as a completely free bonus with the set! After sales at WonFes, they will be up for order at the GOODSMILE ONLINE SHOP from the 7th February at 16:00JST! Also be sure to check out my previous review of Nendoroid and figma Snow Miku: Snow Owl Ver.! 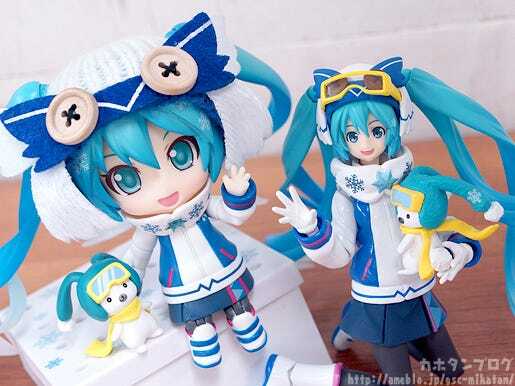 ⇒ Nendoroid Snow Miku: Snow Owl Ver. ⇒ figma Snow Miku: Snow Owl Ver.